Welcome to Imperial Time UK the home for luxury watches. We are becoming the ultimate online portal for luxurious high-end watches and have some of the finest brands on the market. We pride ourselves in our ability to deliver the most excellent and rare pieces with competitive pricing which others cannot offer. 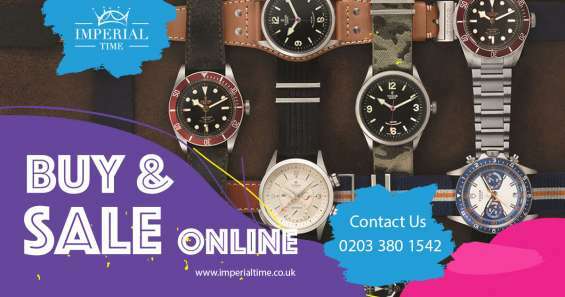 Here at Imperial Time UK our primary goal is to create a trusted source for buying and selling watches, ensuring a positive experience for all customers. In Imperial Time you can sell and buy Luxury Watches Selling your watch to Imperial Time UK is very simple and done in a few steps. We pride ourselves in often being able to source the impossible, so please inquire, and we will do our best to find the timepiece you desire, or provide you with a comparable current model as a second choice.